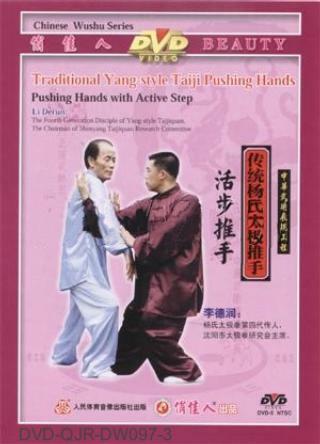 The content of this Pushing Hands with Moving Steps includes: On the basis of Four-Sides-Hand, it emphasizes on the integrity and harmonious of the four forces of the upper limbs and the forward and backward footwork of the lower limbs. The four forces of the upper limbs embody the identification and opposition of "to adhere and lift", "to join", "to adhere horizontally" and "to attach from the rear". Always keep the movements of the two persons in a whole, canonical and harmonious.